You are here: Home / Blog / Armorcoat Safety and Security Film – Needed More Than Ever! Armorcoat Safety and Security Film – Needed More Than Ever! 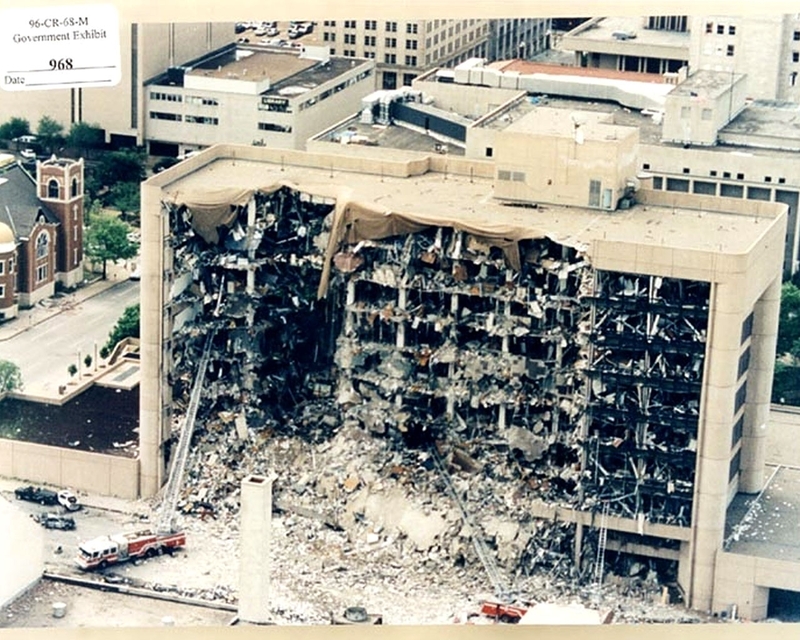 It’s hard to believe that 17 years have passed since the bombing of the Alfred P. Murrah Federal Building in Oklahoma City; the most destructive act of terrorism in America until the September 11th attacks six years later. Carried out by home-grown terrorists, the bombing damaged or destroyed over 300 nearby buildings, wounded almost 700 people, and took the lives of 168. Many of the wounds sustained were caused by devastating – even lethal – flying glass shards. It has also been said that the building was specifically targeted because of its expansive glass facade. One result of this horrific event is that most private office space leased by the government today is required to have some form of security-oriented glazing. It is a well known fact that flying glass can cause monstrous cutting and piercing injuries. And it certainly can be “the weakest link” in maintaining the security of any building – either home or office. For that reason, many homeowners and facility managers are taking action to strengthen their glass; either through the purchase of laminated safety glass, impact-resistant glass, or the installation of a quality Safety and Security Window Film such as SolarGard® Armorcoat™. Properly installed; with “edge attachments,” Armorcoat™ can help deter “smash and grab” burglaries and home invasions. Armorcoat™ can help protect building occupants from the devastating effects of glass shattered by severe weather such as high winds and hail. Armorcoat™ is also a tested and proven blast mitigation product that is often used by the U.S. government in Federal offices, embassies, and military bases. Available in both “clear” and “sun control” versions, Armorcoat™ is a surprisingly affordable “upgrade” for those who want to add an elevated level of protection to their home or office window film installations. Combining its protective capabilities with an ability to reflect up to 79% of the sun’s heat and glare – as well as 99% of the harmful ultraviolet light – makes Armorcoat a most impressive energy saving and security product. Solar-X of Sarasota is the area’s leading Armorcoat™ dealer. Experience and unwaivering attention to detail is what counts in achieving a quality Safety and Security Film installation; and the factory-trained professionals at Solar-X know how to get the job done right! Contact Solar-X today for a free no-obligation estimate. From Ellenton to Englewood; Lakewood Ranch to Longboat Key – or for statewide commercial contracting – count on our nearly four decades of industry experience to ensure your satisfaction. That’s why we’ve been the area’s leading window film contractor since 1973. Rated “A+” by the Better Business Bureau.